Happy Valentine's Day, everyone -- and special greetings to my followers from Ukraine, who have risen to the top of the charts in my audience stats! 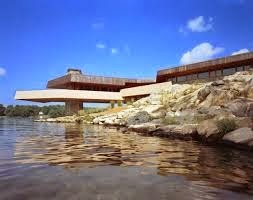 In honor of the day, I'm posting some photos of a Frank Lloyd Wright house I recently found out about. 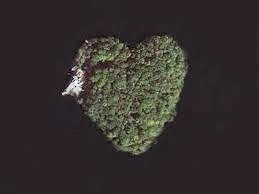 Sited on a heart-shaped island (!) it's called the Massaro House and is located in Mahopac, New York.